Submission of an online subscription is regarded as an individual subscription and acceptance of these terms and conditions; however the subscription will not be confirmed until full payment has been received. Full payment must be received preferably at the time of subscription. We accept payment by online transfer with credit card and Paypal. Please note that all transfer charges must be met by the sender. The convenience fee for the payment gateway has to be borne by the person subscribing for the magazine. This fee will be extra (in addition to) the subscription fee. The personal information supplied in connection with this subscription will be held by DiversityPlus Magazine as a record of subscribers. By subscribing for this magazine, the parties concerned are agreeing that the magazine sales team may use that personal information to contact them by email, direct mail, telephone or fax, in order to convey the information relevant to this magazine, or about other magazines, events and opportunities that the sales team are planning and feel may be of interest to them. Cancellation or transfer or refunding of subscription fees will NOT be allowed at any case. Once the subscription process is completed, its reversal will not be allowed. DiversityPlus Magazine reserve the right to accept or reject or cancel the Subscription. DiversityPlus Magazine reserve the right to make alterations to the magazine content, released date and numner of magazines per annum at any time under unavoidable circumstances. DiversityPlus Magazine reserve rights of postponement or cancellation or preponement of magazine release date. Magazine reserve rights of regulate number of magazines per annum, magazine pages and quality of magazine. Views expressed by authors and editor are their own. 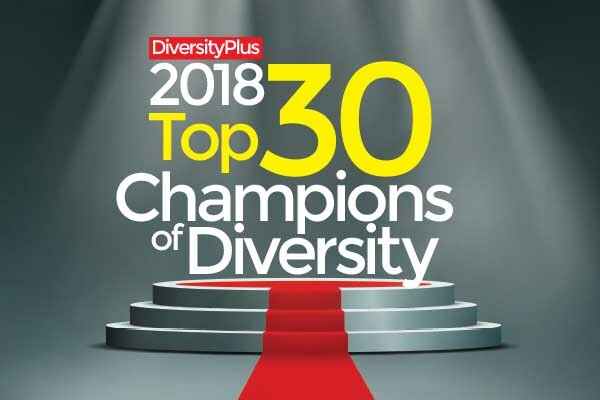 DiversityPlus Magazine cannot accept the liability for any advice given, or views expressed, by any author in the magazine or in any part of article. • Reusing or publishing the magazine content or its parts with-out complete permission or licenses from DiversityPlus Magazine Editorial team is strictly prohibited. • No part of this magazine may be reproduced without the sole legal permission of the management of Diversityplus Magazine. • Section names and titles of magazine articles or a part of that content should not be used or permitted to re-publish in any possible format; such reuse is strictly prohibited. • Images used in magazine articles, thumbnails and any other parts of the website are either intellectual property or licensed to DiversityPlus Magazine. Illegal usage or reproducing of images are strictly prohibited. We do not sell customer or mailing lists to outside parties, including marketers. All U.S. Copyright laws apply.